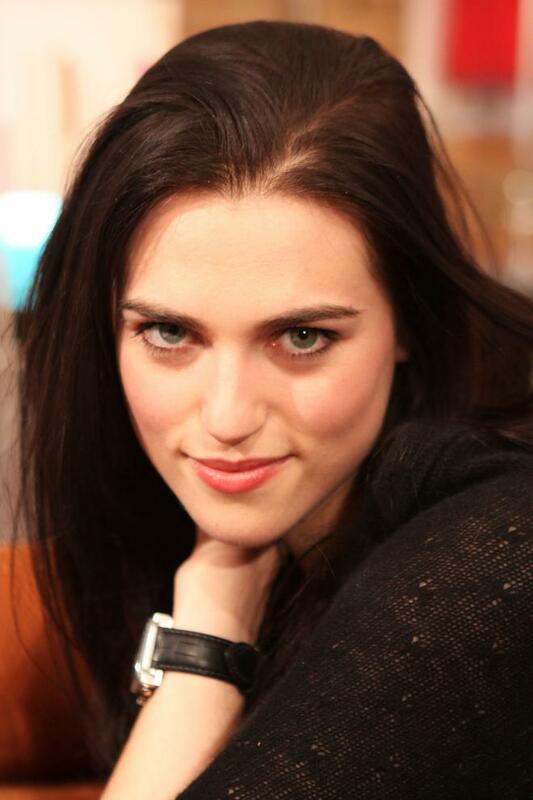 Katherine Elizabeth "Katie" McGrath is an Irish actress and model. She is best known for playing Morgana in the BBC One television series Merlin and also for portraying Jules Daly in "A Princess for Christmas". 1 I don't get recognized in England. Not at all. Every so often, I get recognized in other countries. 2 Maybe people don't see me as believable playing a person of today. I guess I'm just more realistic in a corset and funny hairstyles. 3 I spend a lot of time on eBay buying vintage. I also really like Alexander Wang, Miu Miu, Vivienne Westwood, McQueen and Balmain. 4 I wasn't born an actress, but I was certainly born dramatic! 5 I wear a lot of black, knitwear, skinny jeans and very high heels. My mum used to work for a fashion designer making knitwear, so she knits me lots of chunky scarves, hats and gloves, which I love. 6 One day I'd love a house in the country, with some chickens, dogs and kids. 7 I had this vague notion that one day I might be editor of 'Vogue China.' It was a bizarre ambition, as I didn't speak a word of Chinese. There were flaws in my plan, admittedly. 8 It's not an understatement to say that I owe everything as an actor to Merlin (2008). It was pretty much my first job, and I didn't know what I was doing for many years on it. It wasn't until the third and fourth series - the fourth series especially - that I really found my feet with the character, and as an actress. 9 My mum's amazing - every time I achieve something in my career, she buys me a diamond earring. 10 Working crew made me realize that the actors are a very small part of a very big machine, with each part being vital to make the show work. It so important to remember that it's not about you, it's about the show, and working crew hammered that point home to me. 11 I grew up in a small town in Ireland and didn't know any actors. I never thought it was a viable job. It wasn't until I was on The Tudors (2007) that I realized it was a possibility. 12 If I could have picked an era to have lived, I think I would've loved to have been one of Louis XIV's mistresses. They were so fantastic and aristocratic, and they had so much power. And he was such a renaissance man. I think I would've fit into that nicely. 13 I am really terrible when it comes to guys. Inside, I just see myself as this overweight tomboy with funny-colored hair and bad skin. 14 My friend once sculpted me a bust of Admiral Ackbar from Star Wars: Episode IV - A New Hope (1977) He's my favorite character in the films after Han Solo. He's that goldfish-type alien in the white costume. 'It's a trap!' I'm a big geek. 15 I do keep getting these bad girl roles. The funny thing is that, honestly, I don't think I'm believable as these aristocratic mean girls. But I do love playing them. 16 I love being as bad as possible! You've got to love a bad girl. Look at 'Gone With the Wind,' Scarlett O'Hara - total bad girl, but you love her. 17 I loved every minute of working in wardrobe. But I love being an actress so much more. I don't think I was very good in costume, so it's better that I prefer being an actress. 18 I get sent lots of jewellery by fans, and that's absolutely lovely. 19 I'm a very ambitious girl. I'll go wherever there is a good part. 20 I can't watch most of my work. Once I come on screen, all I can think of is 'What am I doing with my hands?' or 'Why did I lean that way?' or 'What's that look on my face?' It's too difficult to not focus on evaluating my acting. 21 Without Merlin, there would be no Gandalf, so I see them as the same thing, one a continuation of the other. 22 No actor can play a villain if they don't sympathize with him or her - otherwise the character just becomes a two-dimensional caricature. 23 I'm not a high-maintenance person. 24 [on her quick success as an actress]: It was a bit cheeky, granted. What happened was that I obviously knew all the [The Tudors (2007)] crew well, and one of the drivers gave me a confidential cast list with all the actors' agents' details on it, and I wrote to them. I got picked up from that, and Merlin (2008) came along just a few months later. So I won the lottery! I do feel quite bad when everyone talks about how difficult it is to get a foothold in this [acting] business. Most actors slog for years. For instance, everyone on Merlin (2008) did four years at drama school, but I just lucked out. 1 Appears in both medias based on the Arthurian legends with the TV series Merlin (2008) as Morgana Pendragon and the movie King Arthur: Legend of the Sword (2017) as Elsa. 2 Parents are Mary and Paul Mcgrath. 3 Has 2 brothers Sean and Rory. 4 McGrath studied the International Baccalaureate at St. Andrews College before graduating from Trinity College, Dublin with a degree in History. 5 Her last name is pronounced "Mc-Grah". 6 Friends with Colin Morgan and Jonathan Rhys Meyers. 7 She played the younger sister of Emilia Fox in both Merlin (2008) and The Queen (2009). 8 She uses her natural Irish accent in the series Merlin (2008), while her co-star, Irish actor Colin Morgan fakes an English accent. Katie almost didn't get her role because "Merlin" producers didn't want two actors speaking with an Irish accent in the series, and they were ready to reject her for a role if she couldn't sound English, that is if Colin couldn't nail the English accent first. 9 The only leading cast mate in Merlin (2008) who is not a formally trained actor. 10 Compared to most aspiring actors, getting a job as an actress happened quickly for her. She made her on-screen debut in Damage (2007). Later that year, she was able to get an agent by October 2007 when one of the The Tudors (2007) crew drivers gave her a confidential cast list with all the actors' agents' details on it; a few months later, in January 2008, she read for Merlin (2008) and became a series regular. 11 Worked several jobs prior to becoming an actress: at a piercing studio, in a cocktail bar, as a make-up artist for MAC cosmetics, worked for Image magazine, and as a wardrobe assistant on The Tudors (2007). 12 Revealed she never aspired to becoming an actress. She had no formal acting training outside of performing in school plays and did not attend drama school. She had been working as a wardrobe assistant on The Tudors (2007) when a couple of the show's producers and directors suggest she try acting. She wasn't interested, until she saw how more relaxed the actresses' jobs were on the set compared to her job working hard, long hours on costumes as a wardrobe assistant. This prompted her to take up acting and she made her on-screen debut in Damage (2007). She later convinced the director of The Tudors (2007) to give her a part in the series. 13 Became disinterested with her fashion job at Image magazine after eight months. Her mother's best friend, one of the top first-assistant directors in Ireland, had been working on The Tudors (2007) and gave Katie a job in the show's costume department because of her prior experience working in fashion; however, Katie didn't know how to sew and had no knowledge or experience in costume design. 14 Worked under costume designer Joan Bergin on the set of The Tudors (2007). 15 Has a tattoo on her back that says 'purity'.